An employee can be assigned to a security group on the ‘Employee Detail' form. Any user that can edit the ‘Employee Detail’ form can assign a Security Group. 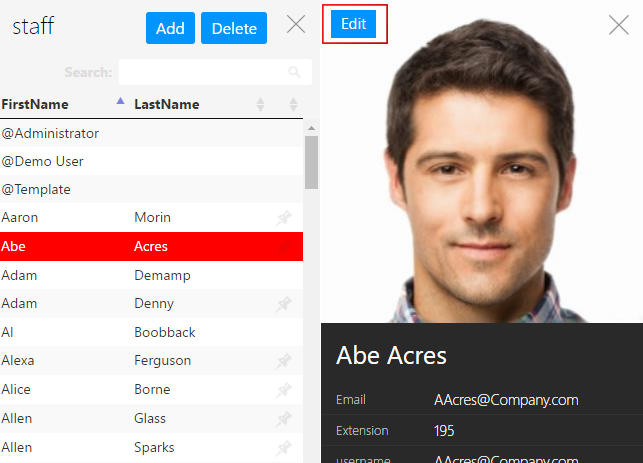 As a user who can edit 'Employee Details' forms, either click on an 'Employee' panel on a floorplan. Go to the 'Staff' tool in the Sidebar Menu and select the Employee from the list. Select the Edit button on the Details panel. 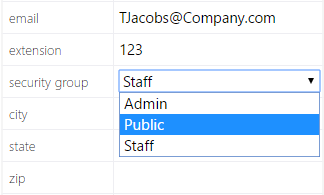 Use the drop-down menu next to Security Group in the Employee Detail form to assign a Security Group. Select the 'Save' button on the 'Employee Details' panel.